Only the blind will not be moved by the magnificence of Khajuraho. Nowhere else, perhaps, do you come across such a stylish and sensuous depiction of life and its various aspects. It’s hardly surprising then, that Khajuraho Group of Temples have been declared a UNESCO World Heritage Site. Belonging to both Hindu and Jain religions, these temples have withstood the ravages of time and still, stand in all their glory. Built by the Chandela Kings between 950-1050 AD, they never fail to leave a lasting impression on the onlookers with their exquisite sculptures and statues. However, it would be a mistake to assume that all of the temples in Khajuraho, counted amongst the most famous temples in India, are confined to displays of eroticism. In many of the temples, there are depictions of the everyday activities of life in those days. One may show an elephant fight, while the other hunting. In yet another temple, you may come across various manifestations of the divine being. Regardless of that, there is no denying that these temples stand as a pinnacle of art and architecture. Exploring them can be a profound experience. 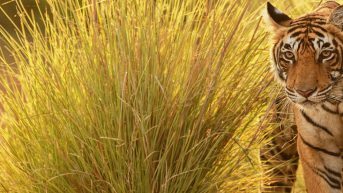 Panna National Park, located in Panna and Chhatarpur districts of Madhya Pradesh, is one of the most famous national parks of India. The park is a treasure house of flora and fauna, with the special attraction being the gharial, a fish-eating crocodile native to the Indian subcontinent. The park is also home to the highest waterfall in India, called the Pandava Falls. 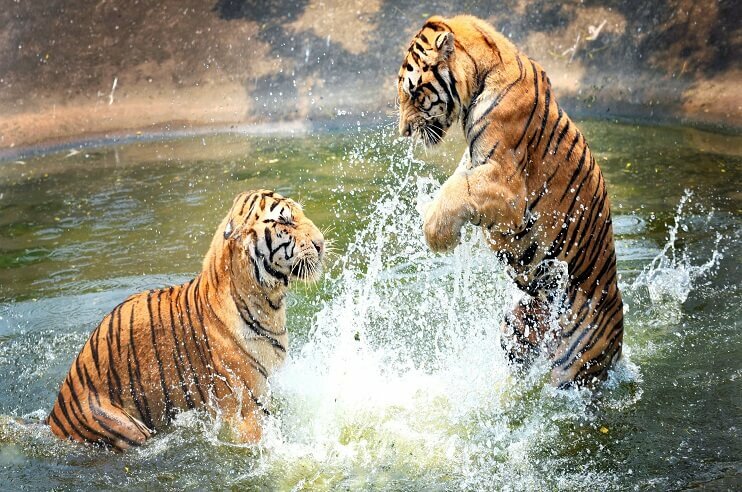 However, one of the main attractions of the park is unarguably the sight of the majestic Royal Bengal Tiger. As his roar echoes through the jungles, feathers are ruffled and hearts skip a beat. 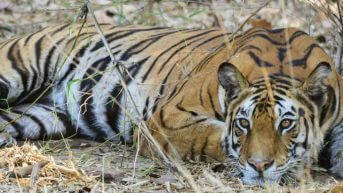 However, it is all that and more, that make Panna National Park, what it is. 3Nights /4Days Khajuraho-Panna Tour gives you the best of both in the most convenient and smooth way possible. Right from the time you land at the airport to the time you catch a flight for your onward journey, we ensure that all your needs are attended to. 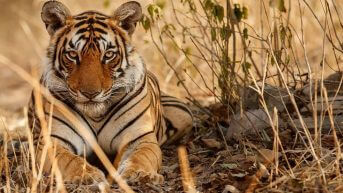 You get to admire and absorb the beauty of Khajuraho and explore the fascinating wildlife of Panna, which was declared a tiger reserve in the year 1994. 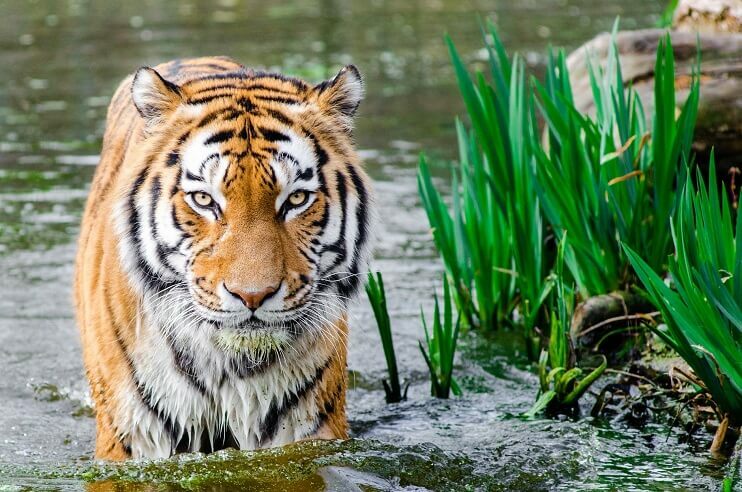 From the exquisite statues to the majestic tiger, this is the tour where nature meets culture! After arriving at the Khajuraho Airport or Khajuraho Railway Station, get in touch with our representative followed by an assisted transfer to the hotel. Rest and relax for some time. In the evening, you will visit the evening market which lies in close proximity to the Western Group of Temples. In the market, you can lay your hands on some exquisite handicrafts. After enjoying some shopping, head towards the campus of the Western Group of Temples to enjoy the light and sound show. Accompanied by classical music, the show is narrated in the voice of the legendary Indian actor, Amitabh Bacchan. The show depicts the rise and fall of the Chandela kingdom, along with the personal achievements of the king. It is an all-time favorite with the visitors. Further, the temples, illuminated in artificial light, take on a different hue and appear more beautiful than ever before. You will also be introduced to the various myths surrounding Khajuraho temples. The second day of the tour promises to be filled with excitement and unlimited adventure. 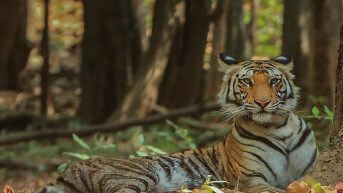 Sightseeing in Khajuraho temples is followed by a visit to Panna National Park. Your day starts with a delicious breakfast, after which you drive towards Khajuraho for sightseeing. The car will drop you at the entrance to the Western Group of Temples. After purchasing entrance tickets and hiring a guide (which is optional), start exploring the temples. You can also enjoy photography at these marvellous temples. Visitors can visit the temple complex from sunrise to sunset. As far as footwear is concerned, you should opt for sandals or easy to wear shoes. Some of the famous Western groups of temples are Varaha Mandap, Devi Mandap, Kandariya Mahadev Temple, Lakshman Temple and Mahadev shrine. Of these temples, the Lakshman Temple is not only the oldest but also one of the largest. The largest temple however, is the Kandariya Mahadeva Temple which gets its magnificence from its aesthetic proportions and exquisite detailing. After exploring the Western Group of Temples, head towards the Eastern Group of Temples. Albeit smaller in size, they occupy an important position both historically and culturally. In the Eastern side though, you will mostly come across Jain temples, as it was here that the Jains resided during the rule of Chandela dynasty. The largest of the Jain temple is the Parsvanath Temple, which is dedicated to the Jain Tirthankara Parshvanatha. Besides the Jain temples, there are three Hindu temples, Vamana, Javari and Brahma. Take a break from your sightseeing for an enjoyable lunch. 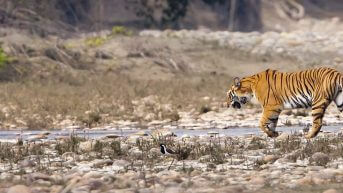 After that, return to the hotel to complete your checkout formalities, followed by a drive to Panna National Park. Enjoy the beautiful sights along the way. After arriving at Panna, spend the evening relaxing and unwinding at the resort and preparing yourself for a day of unlimited excitement and adventure the next day! Overnight stay at Panna National Park. Your adventure begins early in the day with a morning safari to Panna National Park. Located in the Vindhyan hills in northern Madhya Pradesh, the park is home to a rich variety of flora and fauna. 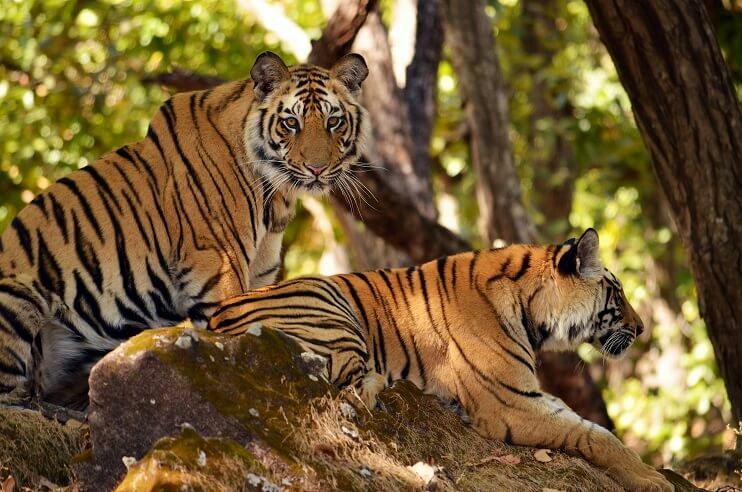 Declared a Tiger Reserve in the year 1994, it is home to a large population of tigers. Undoubtedly, they are also a crowd favorite. Inside the park, you can also spot the gharial, a fish-eating crocodile native to the Indian subcontinent. 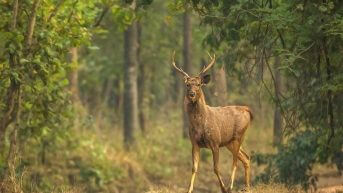 Other mammals which you can expect to spot here are sloth bear, leopard, sambhar, chital, nilgai and chinkara. Besides these wonderful mammals and reptiles, Panna also boasts the highest waterfall in India, the Pandava Falls, which measure approximately 100ft. Reaching the waterfall requires you to descend almost 280 steps. This waterfall is also associated with an episode from the Hindu mythological epic, Mahabharata. It is believed that this is where the Pandava brothers resided during their exile. The source of the waterfall is also a mystery, as there are no known water sources above the cave. Enjoy the sights and sounds of nature surrounding you, as it’s not often that you come across such lovely sights that lift your spirits! Get transferred in the morning to Khajuraho to resume with your onward journey. This tour has offered you a perfect mix of nature and culture, something that it rare to come across! Take away happy memories of the trip!